Harlem Lovebirds: Popular Baby Names - Official List! 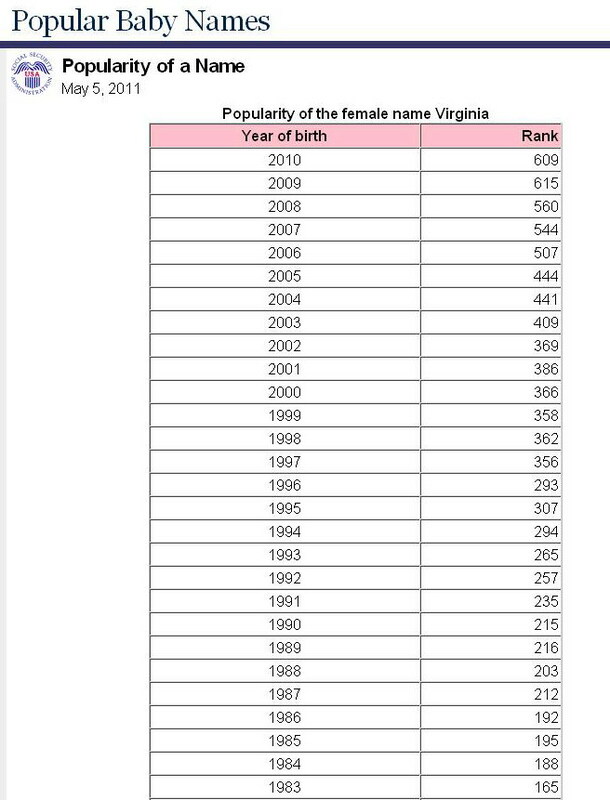 Popular Baby Names - Official List! 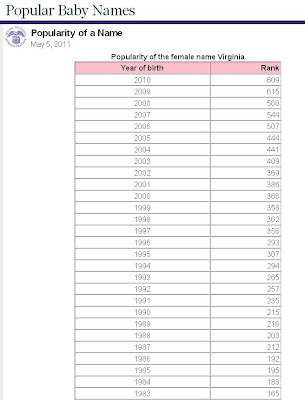 From 1918 - 1925 Virginia fluctuated between #6 and #7. SO glad to see it's unpopular! when we chose Olivia I hadn't seen the name list, yesterday it was #5 for 2011. Kaia on the other hand I don't believe is on the list!